GOVERNMENT has with immediate effect suspended the exportation of maize and maize products, Agriculture permanent secretary Julius Shawa announced yesterday. Speaking at a media briefing in Lusaka yesterday, Mr. Shawa said the move was aimed at safeguarding national food security in the county. Mr. Shawa said a physical verification would commence immediately to ascertain the stocks of maize currently being held by the Food Reserve Agency (FRA) and the private sector. He said the verification exercise will take one week by the inter-agency team involving FRA, Grain Traders Association of Zambia, millers and the Zambia National Farmers Union that has been established to undertake the quantification of the maize which has been impounded by the law enforcement agencies. 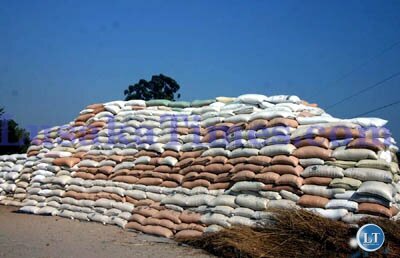 Recently, several truckloads of maize were impounded in Chipata, Nyimba and in Kafue districts by Government security wings and most did not have valid export permits. About 30 trucks carrying maize destined for Malawi were impounded in Chipata but the Malawian government claimed it had no knowledge that it had imported maize from Zambia. Mr Shawa said permanent secretaries would preside over the verification exercise and ensure that they submitted the information not later than Friday 8th April 2016. Meanwhile, Mr. Shawa said the Zambia Revenue Authority (ZRA) would take custody of all trucks with maize and maize products which had been impounded at the borders until the verification was concluded. Mr. Shawa also said authorities at the border points would not accept any photocopied documents for any export of maize products. He said Government was taking appropriate measures to ensure that no Government subsidised maize held by the FRA went into private hands for purposes of hoarding or exportation. And Mr. Shawa said Government would soon issue a Statutory Instrument to ensure that measures taken to safeguard national food security were backed by a legal instrument. There has been unprecedented movement of maize grain and mealie meal within the country and to some of the neighbouring countries over the past two months following the shortage of the commodity in the region. 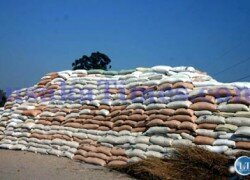 This has caused anxiety and panic among Zambians about the state of country’s food security situation.